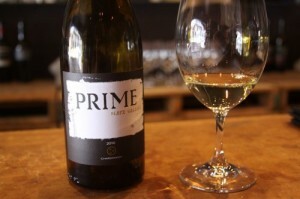 Prime Cellars focuses on very small production wines from the Napa Valley – with an emphasis on the Coombsville appellation (east of the city of Napa). The winery is run by Ted Henry (the winemaker) and his wife Lisa. Ted went to the University of California Davis (one of the premier wine education schools in the country) without knowing what he wanted to major in. After taking a basic introduction to winemaking class he was hooked by the wine bug. Ultimately he graduated from UC Davis in 1999 with a degree in winemaking. He came directly to Napa after graduating, took a job with Trinchero Family Estates and has been working in the valley since, including top wine making positions at Jarvis and Clos du Val. 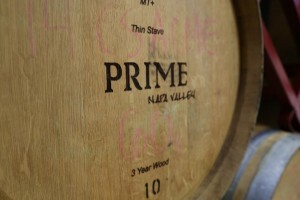 He released the first vintage of Prime Cellars in 2005. Definition 1 and 2 certainly applies to the type of wines they are striving to create – and of course one of the most important aspects of high quality wine making is a sense of place or as they define in #3, “prime real estate”. Their “sense of place” is predominantly Coombsville – still Napa’s newest sub appellation (having been approved in 2011). 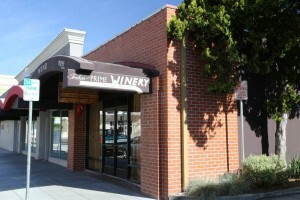 While Prime Cellars does not own any vineyards, they work with select tiny vineyard sites – in both Coombsville and other parts of the valley. While generally accepted that Coombsville is a cooler growing region and “up valley”, Coombsville has many micro-climates especially on the east side of the region against the warmer summertime slopes of the Vaca Mountains. Wine from this region is surprisingly complex, soft and layered in flavor and typically not vegetal on the nose or on the palate. The wines from Coombsville can have both elegance and strength. Ted originally wanted to put the name Coombsville on a bottle of Cabernet Sauvignon as a tribute to “place” – but he started making the wine before Coombsville was an approved AVA and was not able to get approval. He looked for “naming” inspiration in another place. Any local grape grower is familiar with the “California Grape Acreage Report” presented annually by the United States Department of Agriculture. The county of Napa is designated District 4 in this report and is from where this wine takes its name. When the nearby District 4 tasting room closed, also in downtown Napa any confusion about the name of this wine was eliminated. The 2008 Prime Cellars District 4 is predominately Cabernet Sauvignon with some Cabernet Franc. Aromatically this wine shows bright lively fruit – much of that coming from the Cabernet Franc. The nose is “pretty” and slightly floral with notes of rose petal and some subtle spice. Good acidity, good flavor and fairly delicate tannins round out the pleasing finish. The 2009 Coombsville is the bigger of the two red wines – it 100% varietal. The nose shows some peppery notes and as it breathes more fruit is revealed. This wine has good structure and character. It is a wine you can certainly lay down for a few years. 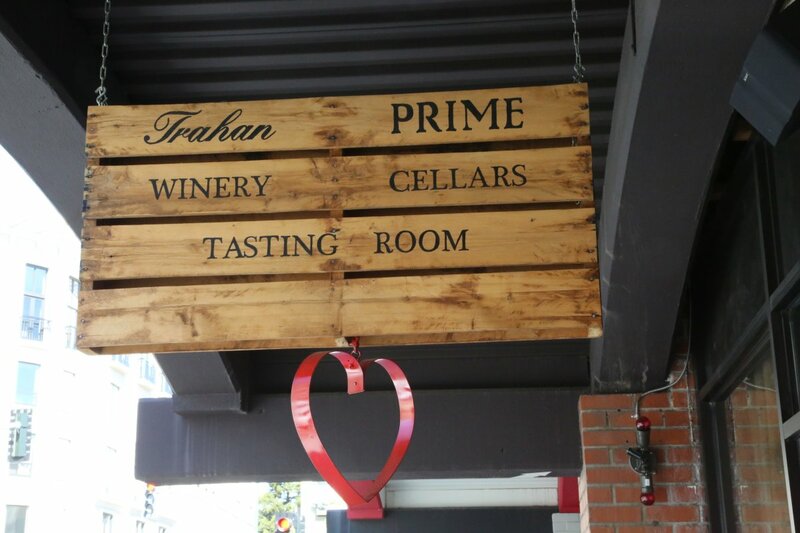 After a number of years of making wine without a retail presence, Prime Cellars moved into the existing Trahan tasting room in downtown Napa. This part of town is centrally located – easily within walking distance to many hotels (including a short walk to two of Napa’s most popular downtown hotels, the Andaz and the Archer), restaurants and other tasting rooms. When you want to take a half day off from driving – this is a good place to start. Both wines from Prime Cellars and Trahan Winery are available for tastings here. Here it is common to meet and taste with the owners who are both the winemakers for their respective brands (besides Ted & Chuck the tasting room only has one employee). This is markedly different tasting experience than you may have at the larger Napa Wineries. Often you can meet and taste with the owners (especially Chuck) who are both the winemakers for their respective brands. A number of wine makers prefer to stay behind the scenes and it is always a pleasure when you meet winemakers who have an genuine interest in meeting their clients and don’t mind the customer interaction part of the wine business.